Chemical Abstracts Service (CAS) has announced that the client version of SciFinder Scholar will be discontinued as of June 30, 2011. 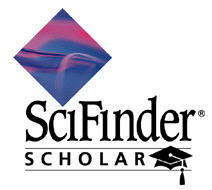 After June 2011 we will have 3 cocurrent user access to SciFinder Scholar Web. You will need to create an username/password to use the web version. Click here! View a demo of the web version of SciFinder. For more information checkout the Chemistry Research Guide or contact the Chemistry Librarian, Robert Tomaszewski (rtomasze@gsu.edu). This entry was posted in Biology, Chemistry, Databases, For Faculty, For Graduate Students, For Students, Uncategorized. Bookmark the permalink.